The RMGT 9 Series brings printers of all sizes access to the reliability, versatility and superior cost performance they need to compete and win in every facet of the offset print world. Available in two sizes, the RMGT 9 Series can be specified in up to 10 colors with and without perfecting along with a host of today’s most important automation features like simultaneous plate changing and RNGT’s revolutionary Insta.Color. RMGT 9 Series users enjoy lighting fast make-ready, extremely low paper waste and unparalleled print quality all in an incredibly affordable package. In the U.S> commercial print market, the 16-page signature is king and no other press is better at producing this most popular finished size at quality levels, production speeds and, most importantly, at a production cost that provides The Unfair Advantage that printers seek. Two models are available to best meet our customer;s unique needs. The RMGT 920 provides a 36.22″ x 25.20″ maximum sheet size while the RMGT 940 expands the size to 37.01″ x 25.20″. With the RMGT 9 Series your savings add up to better profitability regardless of run length. By using a 33% less expensive plate, much lower cost supplies, the lowest energy cost and a single pressman operation (in most configurations), the RMGT 9 Series gives its owner an Unfair Advantage in their marketplace. Many of our customers have moved significant print volume back to offset for improved print quality and much lower production costs. 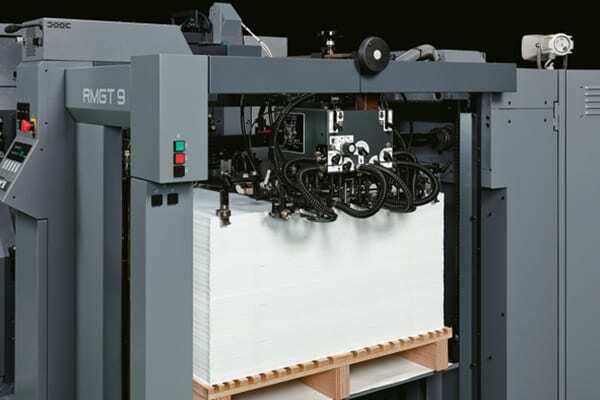 Over 90% of full-color offset printing is produced 2-sided. 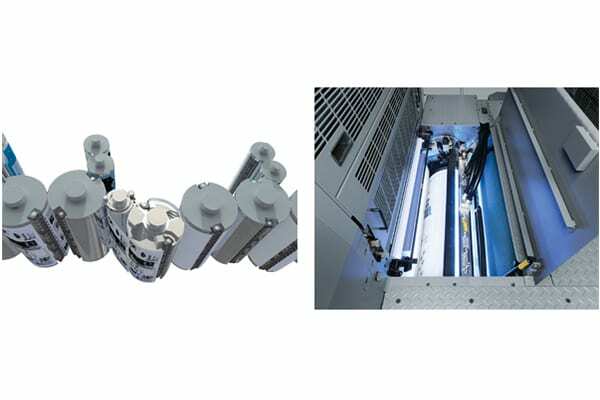 RMGT is a true market leader in the Long Perfector world largely based on our innovative design, the development of LED-UV curing for print and most importantly, the affordability of the RMGT 9 Series platform. Imagine an 8-up, 10-color (5/5) perfector that fits in a smaller footprint than a competitive 640. Imagine a price point that is close to the cost of a 640. Now imagine how any single-sided press on the market can keep up with the 26,000 IPH that the RMGT 9 Series produces. With the development of RMGT’s Insta.Color make-ready automation, the most cost-effective and productive print production workflow became an affordable reality to the industry. RMGT Insta.Color covers all facets of the make-ready process. 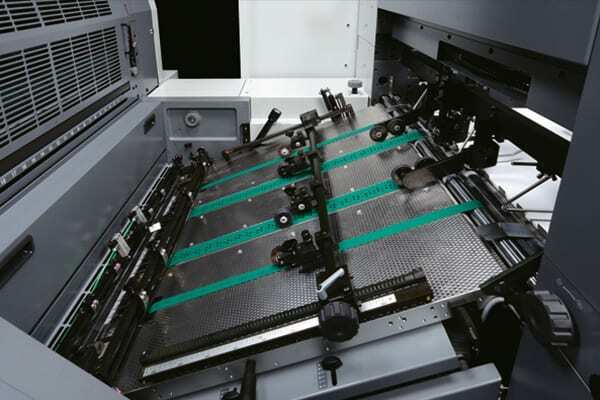 RMGT developed the world’s first simultaneous plate changer on our RMGT 10 Series platform nearly a decade ago and our SIMULCHANGE System precisely and accurately changes up to 10 plates in under 100 seconds. The affordable Full APC system uses a sequential process which yields a true hands-free process that changes 6 plates in approximately 3 minutes. RMGT’s standard equipment, Semi APC, provides a high degree of automation at a very affordable price. As the developer of Artificial Intelligence software for the DI (Direct Imaging) presses that entered the market over 15 years ago, RMGT brings a wealth of experience to its Insta.Color make-ready workflow. 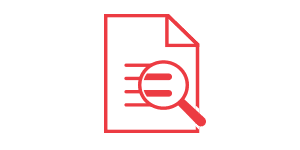 Even with RMGT’s best-in-class CIP3 data interpretation, the only true test of that data’s accuracy is the finished product and no other system does a better job of capturing that data to improve print accuracy. By analyzing pre-press data with PPC Server III the ink volume ratio of the image area is calculated. 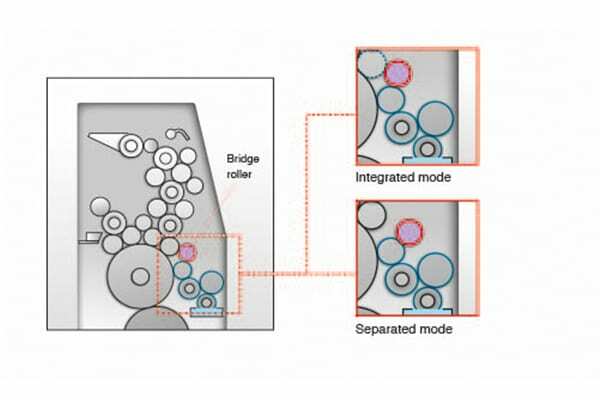 Based on this highly interpreted image area data, the PCS-G Print Control System automatically selects the conversion curve for each color, sets the opening of the ink fountain keys and controls the ink rollers. The automatic blanket and ink roller cleaning devices are centrally controlled from the PCS-G printing control system, including setting the start of cleaning for each print unit and selecting the cleaning pattern according to the amount of cleaning required. The one-touch nip pressure adjustment position cue function and automatic roller nip pressure checking function greatly reduces the amount of labor required during maintenance work. Nip checking is much easier on the press with the nip checking mode that prints actual nip width on a single sheet. The RMGT 9 Series press uses the same advanced air management technology found in all RMGT 10 Series presses to enhance sheet transfer accuracy. Stable print quality and color reproduction are maintained by using high precision mechanisms built with the toughness and durability that retain printing precision over long periods of time. Multiple jobs are supported by the press’ high-quality performance. 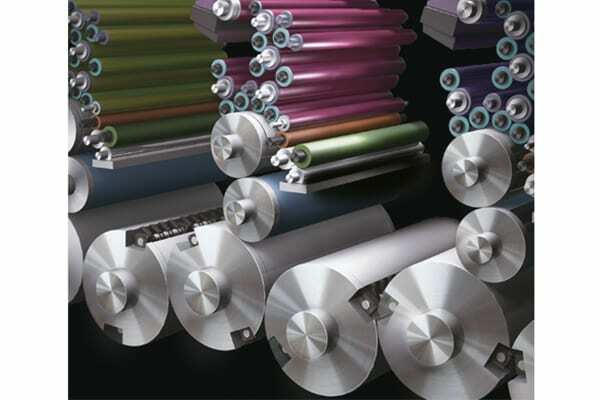 The printing unit consists of the double-diameter impression cylinder and transfer cylinder. The large radius of curvature ensures stable sheet transfer by suppressing flapping even when printing on heavy stock and film. Each gripper shaft features a torsion bar-type gripper open/close mechanism. Reliable gripper-to-gripper sheet transfer at any operation speed ensures stable registration accuracy. Pressroom maintenance for this style of sheet transfer saves hundreds of hours versus spring closed systems featured on most German brands. At 16,200 SPH the RMGT 9 Series feeder is more than a match for the most difficult stocks. This truly flexible and reliable feeder has all the horsepower to handle heavier stocks while providing precise feeding of this onion skin stock without wrinkling. Pressmen remark that the adjustments are intuitive and very easy to make and the RMGT’s numeric scales help make these moves repeatable and efficient. Add in the available lateral feed stack adjustments and the RMGT 9 Series feeder is the pressman’s best friend. Whether feeding thick carton stocks or thinner direct mail catalog sheets, the RMGT 9 Series vacuum feeder board ensures smooth, stable sheet feeding from the feeder board to the front lay. An integrated brush and runner wheel mechanism shortens the time needed to change sheet sizes. The pneumatic pull side guide minimizes contact scratches when it’s feeding delicate substrates. 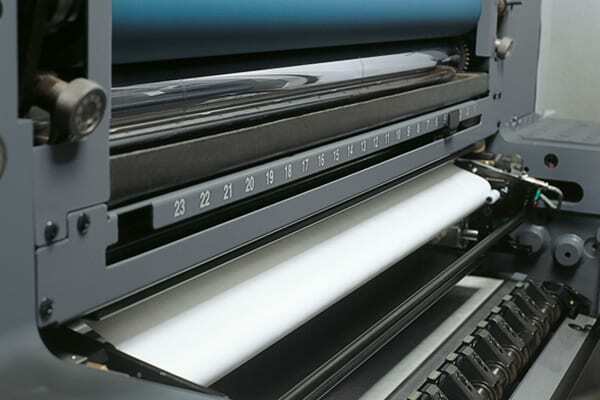 The R-matic continuous dampening system assures a uniform dampening supply on the plate surface to reproduce sharp dots, glossy solids and finely detailed text. The system also allows alcohol-free printing. 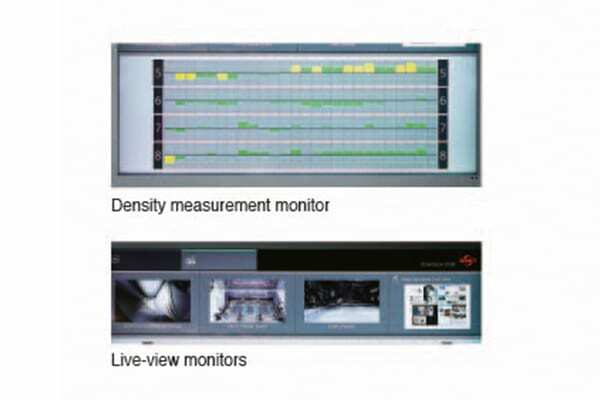 Switching between integrated mode and separated mode is easy from the touch-panel display in order to exactly match the image and characteristics. The available R-matic-D* Continuous Dampening System with Hickey Removing Function and R-matic-D Remote* Continuous Dampening System with Remote ON/OFF Hickey Removing Function substantially reduce hickeys on plates by adopting a drive mechanism for the water form roller creating a rotational speed difference between the water form roller and plate cylinder. The RMGT SMART Production Control Center unleashes the full potential of the SMART Insta.Color make-ready system setting a new standard for ease of use, intuitive press operator interface and predictive optimization of workflow with one goal in mind – maximum production and best-in-class print quality. With connections to virtually any MIS designed for CIP4 / JDF, a color management system linked to pre-press data and other pre- and post-press functions, a truley intuitive Artificial Intelligence approach to refined color management, centralized management and control of print quality and productivity allows for easy and predictive monitoring of all print operations. 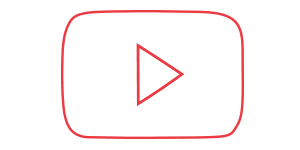 This open architecture design provides our customers with The Unfair Advantage of SMART Insta.Color without disturbing their current pre-press workflow. RMGT’s live view cameras provide continuous real-time monitoring of sheet travel as displayed on the SMART PCC video wall. RMGT press operators are constantly in touch with all vital areas of their press from the convenience of the SMART PCC so they can focus on the outstanding print quality that is the hallmark of all RMGT presses. Instant display of all other press functions including ink density data, job progress and operating conditions are also shown on the RMGT video wall. The SMART PCC Wi-Fi- enabled tablet allows remote viewing of all information available on the SMART PPC video wall so RMGT press operators can operate their press from any location. The user-friendly design of the SMART PPC becomes an intuitive and ergonomic workstation for RMGT press operators as they maximize the throughput of their press via a menu driven touchscreen interface. Using SMART Insta.Color’s full suite of workflow selections is easier than ever as RMGT press operators can now build a workflow that maximizes productivity in their unique environment. An example is SMART End Inking with starts the next jobs make-ready process at the end of the last job by erasing that ink profile before bringing in the ink profile of the next job in the queue. Smart PPC allows an RMGT press to become more like a digital press than ever before, providing centralized monitoring of the entire print process from make-ready to printing, including ink density adjustment, registration, color adjustment, water control, print settings, ink roller and blanket washing and other operations. It also allows centralized management of operation and maintenance information, such as maintenance history and press operation logs. 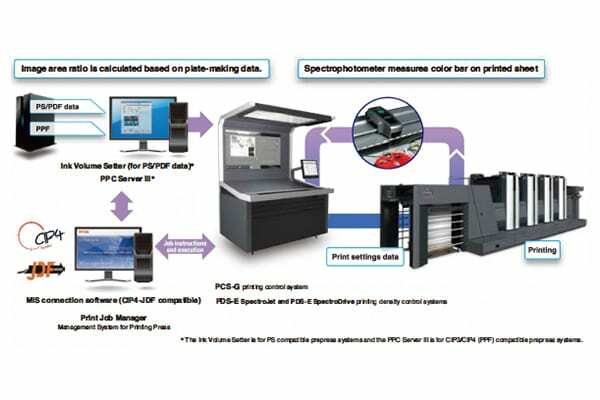 RMGT’s fully integrated PDS-E SpectroDrive print density control system utilizes a spectrophotometer to accurately measure the printed sheet and then SMART Insta.Color calculates the correction values between the printed sheet and the pre-established quality control targets. 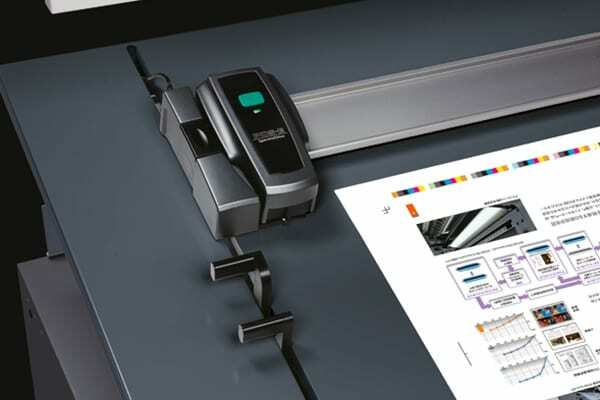 These correction values are then fed back to the SMART PCC to automatically control the opening and closing of the ink fountain keys for fastest possible color matching. Using well established Artificial Intelligence algorithms, Insta.Color automatically selects the most optimized profile for not only each job but each color. 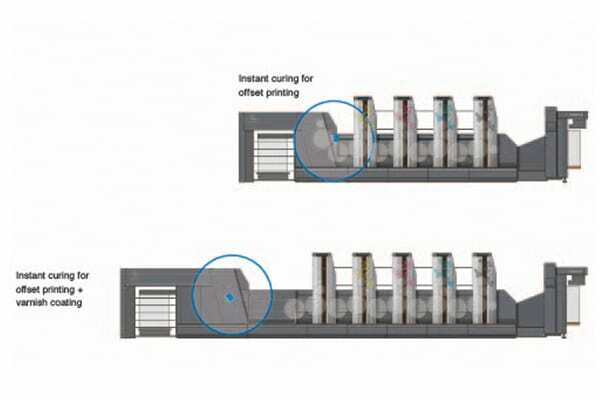 The rapid response of the RMGT 9 Series ink train provides the fastest reaction to this input; bridging the gap between digital and offset print runs. Once the perfect density levels are reached the PDS-E scans are fed back to the SMART PCC to minimize density fluctuations and maintain consistent print quality from start to finish. Building on virtually any digital workflow, SMART Insta.Color brings profitable impact to pressrooms without the need to add expensive pre-press workflow. 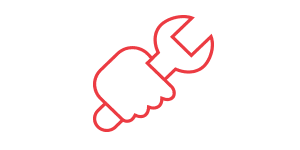 With PPC server as the interface, you can not only implement MIS, CIP4 and JDF, but you can also easily connect to other management systems and pre-press processes that have been previously installed. 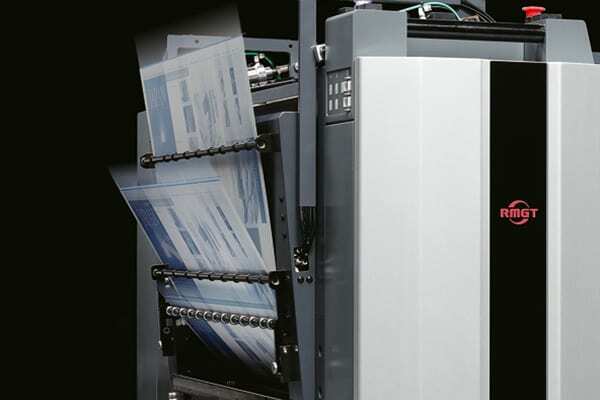 The optional Print Job Manager press operation control system connects RMGT 920/940 and even 790 Series presses via network to manage the production schedule and to transmit print job data. 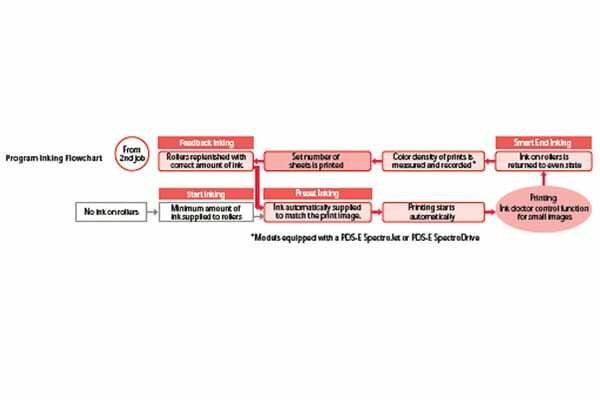 It also collects data on press operation status in real time and automatically generates production analysis data that can be accessed via the internet anywhere in the world. The PPC Server converts your CIP3 image area ratio data generated by CIP3/CIP4-PPF and CIP4-JDF-eneabled pre-press systems and provides data on ink key opening volume. PPC Server operates with all major pre-press interface software including the popular .PPF file protocol. 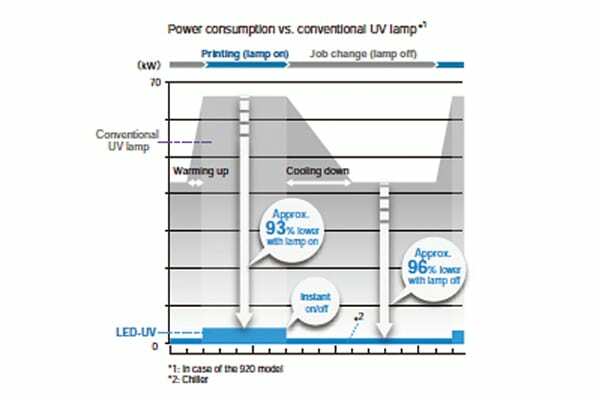 The LED-UV curing system uses only 10%* of the power normally consumed during conventional UV curing. In addition, the instant on/off of LED-UV lighting eliminates the need for substantial standby power. The PCS-G print control system acts as a print control center, providing centralized monitoring of the entire print process from make-ready to printing, including ink density adjustment, registration, color adjustment, water control, print settings, cleaning and other operations. It also allows centralized management of operation and maintenance information, such as maintenance history and press operation logs. 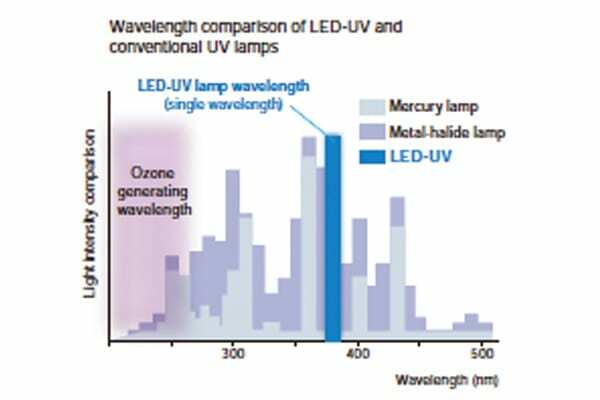 LED-UV operates within a UV wavelength where no ozone is generated, eliminating the ozone odor emitted during conventional UV printing. 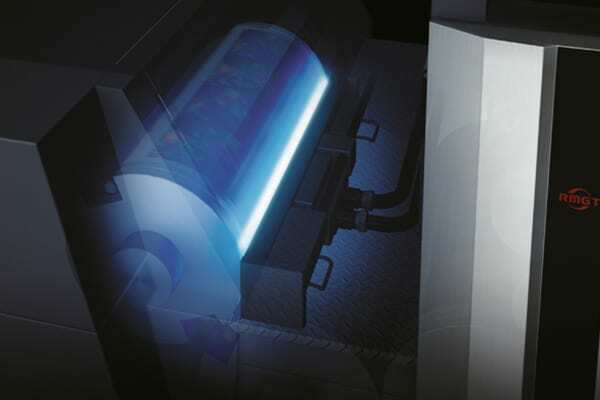 The minimal heat generated during curing reduces thermal impact on the printed sheets and eliminates the need for exhaust ducting. 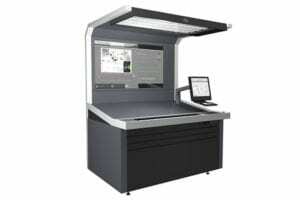 The growing popularity of the LED-UV curing system has led to a wider selection of inks, varnishes and substrates. An array of high, value-added print services can be offered by combining special colors such as gold and silver, various varnish coating surface treatments and printing on special substrates. *Drying performance may vary depending on printing conditions such as paper, ink, varnish, drying unit, printing speed, etc.